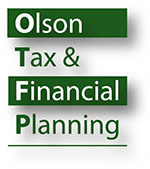 Dan Olson, Principal of Olson Tax & Financial Planning, is a financial professional with over 30 years of experience with Citigroup and other financial institutions providing a wide variety of clients with money-saving analysis and advice related to taxes, investments, debt management, insurance and other financial planning topics. Dan has a longtime commitment to serving his community. He is the President and Treasurer of Musica Reginae Productions, a Queens-based organization that produces old and contemporary classical music concerts. He is also the Treasurer and member of the board of the Queens Symphony Orchestra and serves on the board and Finance Committee of the North Brooklyn Boat Club. 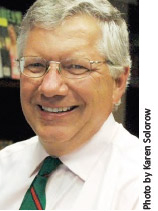 He is the former Treasurer of his church and Chairman of its Endowment. Dan serves on the Pro Bono Committee of the Financial Planning Association of NY and works with the IRS Volunteer Income Tax Assistance (VITA) program. He has over 20 years of leadership in the Boy Scouts of America where he is the merit badge counselor for the water badges. In his spare time he plays bass guitar, keyboards and sings in several musical groups, is an ACA certified canoe instructor (head of the Canoe Committee of the Sebago Canoe Club), and is always ready for a tennis game. Dan is married with three adult children.